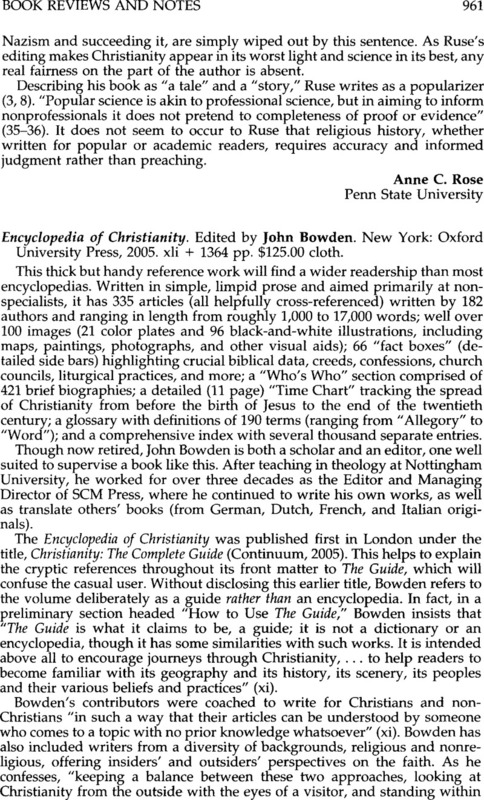 Encyclopedia of Christianity. Edited by John Bowden. New York: Oxford University Press, 2005. xli + 1364 pp. $125.00 cloth.